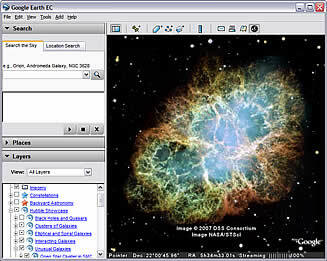 Google Earth 4.2 includes Sky, which allows you to view and browse stars, planets and more. A fellow Googler has posted an excellent guide to publishing KML-based content in Sky. Complete with examples, this document describes how you can display objects in Sky and how KML elements work in Sky. View this document.